This happy mellow fellow is Andrew Reed. He is a traveler of life. He has labored on the farms of his youth in Iowa. He has worked as a fisherman in Alaska. He has wandered through Australia avoiding death and danger… all the while gathering the experience of a contemporary troubadour. This world wisdom has made Andrew an introspective and reserved individual. His music reflects the soft-spoken, road-weary persona with acoustic based songs layered with adult contemporary instrumentation that supports the singer-songwriter approach utilized by Reed. These ‘front porch’ slow drifts have been captured with a warm presence on “If All The World Were Right”. 12 Songs and poem, because Andrew is a creative soul like that. Generally speaking, these are easy-listening jams full of pleasant flows and laid-back journeys. While the song construction is generally a simple affair, the ideas are given a lush foundation through the addition of various instruments and song crafting. There is a host of musicians that contribute to these songs, yet they still come off more like a single songwriter’s vision than a full band. Often, the two-chord changing basic framework that Reed hangs his lyrics upon can tread in waters that might risk a certain dullness of repetition. This is compounded by the already prevailing AM radio safeness embraced by the entire album. It borders on something one might hear in the elevator in your dentist’s office. That may sound like a dig, but I recognize the market that exists for upbeat, feel good, slow tempo, non-scary, luke-warm, nice guy song writers with their ‘things will get better’ outlooks. And Andrew Reed can wallow in that syrup with the best of them. Plus, he is a competent acoustic guitarist, decent singer, above average lyricist, better than many song writer who can construct formulaic chord progressions and then layer them with some 70’s soundtrack instrumentation that raises the worth of something that might be more pedestrian in the hands of a lesser traveled song-smith. Think Neil Young without the angst, overdosing on optimism. There is a likable, generic quality that runs through this release. A familiarity bred through songs and sounds absorbed in the backgrounds of our lives that make these offerings seem like friends from a hard to remember past. The album opens with a sunny number called, ‘Sailed Away’. The maracas dancing with a playful piano evokes something vaguely retro with a lounge twist. Reed’s best trick is taking a relatively risk-free song structure, then building it up with some keys or creative percussives. Check the horns placed throughout ‘Life In The City’ that give the track a cosmopolitan, uptown jazz stroke with a micro sax solo. The title track, ‘If All The World Were Right’ comes across in a Tom Petty like drawl with classic warbling keyboards holding the song together. 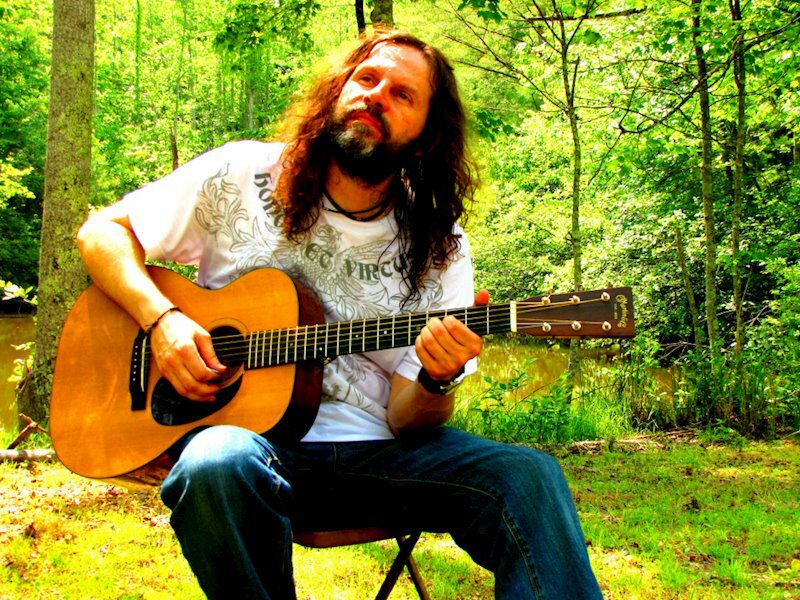 ‘Where She Goes’ showcases Andrew Reed’s guitar picking ability. Nothing flashy, but confident and solid in its direction. A slight country feel is laced within due to the steel slide guitar flavorings. Add some angelic backing vocals and it turns into one of these distinctly Reed songs, while still feeling like a melody your memory knows, but just can’t place. Reed does have a certain degree of range. Evidenced by’The Ghost of Robert Johnson’, a song that comes wrapped around a bluesy lick and darkly whispered vocals. Once again, he is treading through waters that should feel familiar, but still manages to infect enough of Reed’s own take on the standard blues to keep things interesting. The album ends on a poem with slight musical accompaniment. Why? Because Andrew is a thoughtful fellow. It tucks the listener in bed with a few cozy words, whispered in the ear with a velvet idea meant to sooth any aching psyche that might be lingering after the album’s journey. Andrew Reed does an admirable job of taking what might be at first glace, something so traditional and classic, it might otherwise be dismissed as unremarkable for its sheer lack of originality. Yet upon repeated listens, one can’t help but find a certain strength in the sanguine delivery. He can be wordy without an air of pretension, and simplistic while avoiding the mundane. 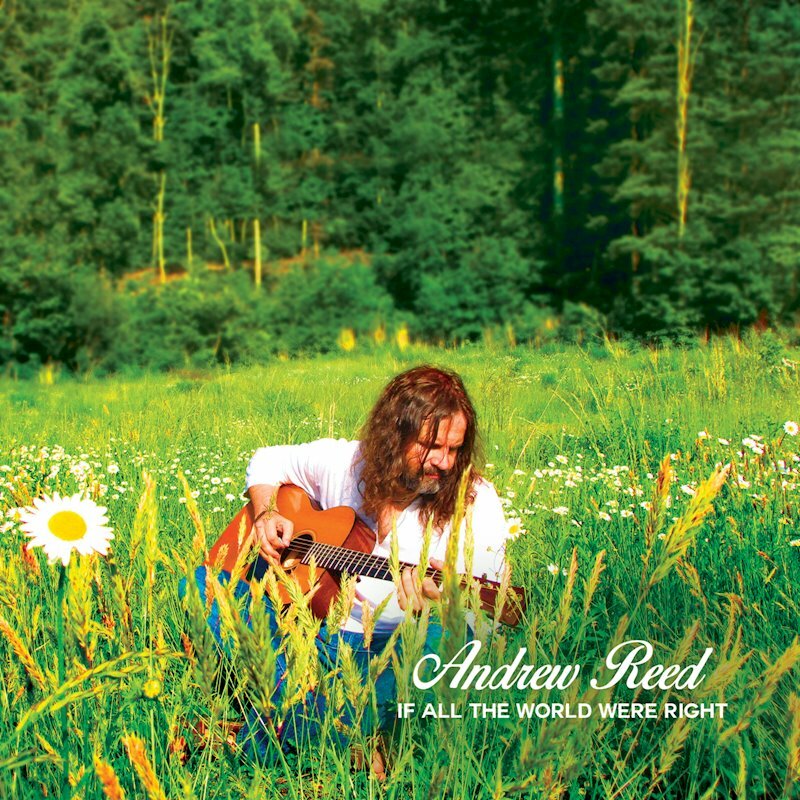 Andrew Reed somehow made an adult contemporary album that isn’t weighed down by whatever negative connotations that label might imply.